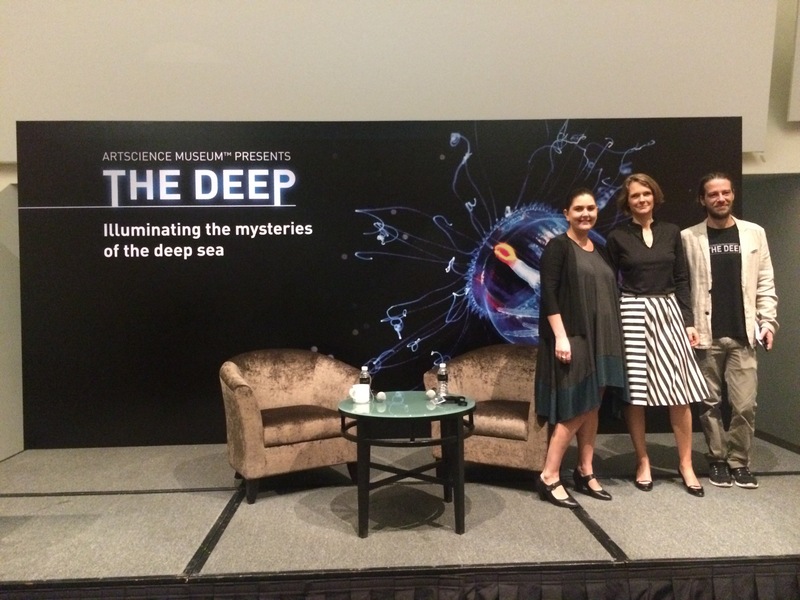 The exhibition-event, The Deep, was inaugurated in Singapore on the 5th of June, in the presence of Claire Nouvian, curator of the exhibition. 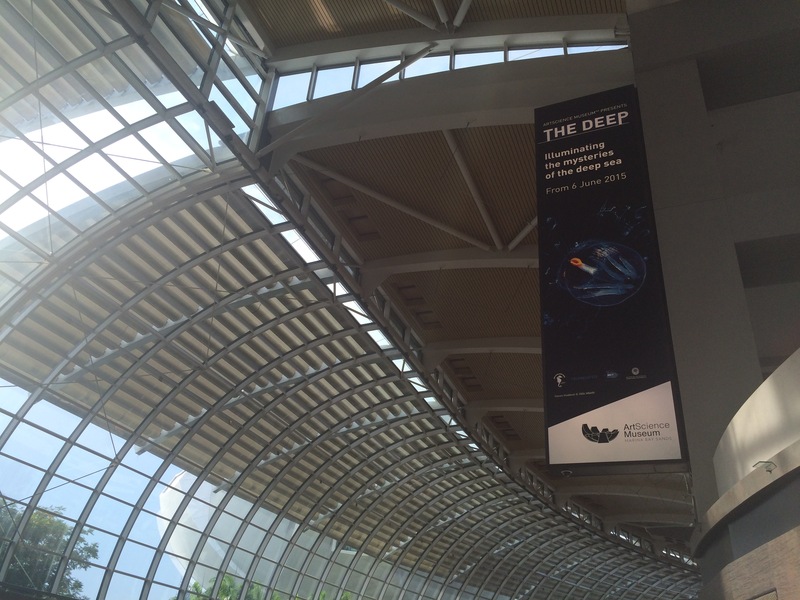 It will remain open until October 27, 2015. 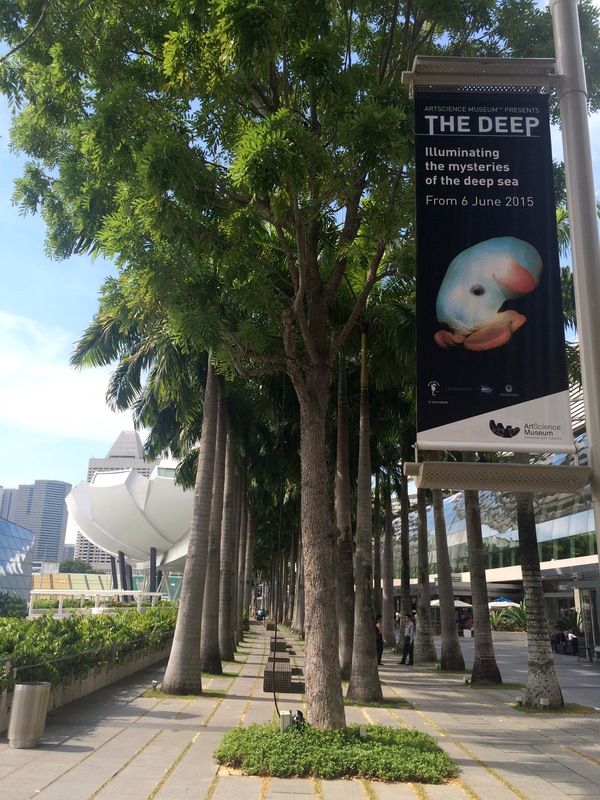 After travelling in almost 10 countries, the exhibition ‘THE DEEP’ has been unveiled at the ArtScience Museum of the Marina Bay Sands in Singapore, since June 5th 2015. 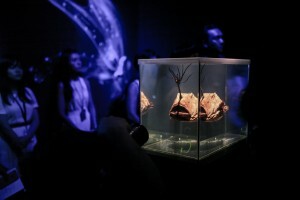 Thanks to the scarcity of the animals exhibited and the quality of their conservation, this exhibition, unique in the world, reveals all its beauty in more than 1000 square meters plunged into the dark. 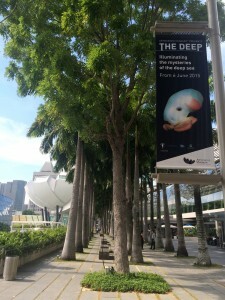 The ArtScience Museum of Singapore collaborated with the Australian artist Lynette Wallwoth in order to add a room where specimens are presented in water columns. 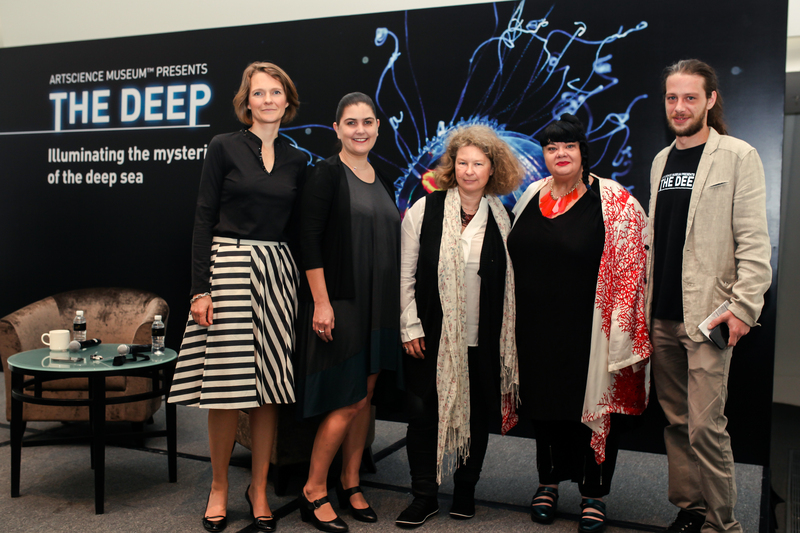 In the continuation of her book (The Deep, University of Chicago Press 2007), Claire Nouvian entirely conceived the exhibition THE DEEP. 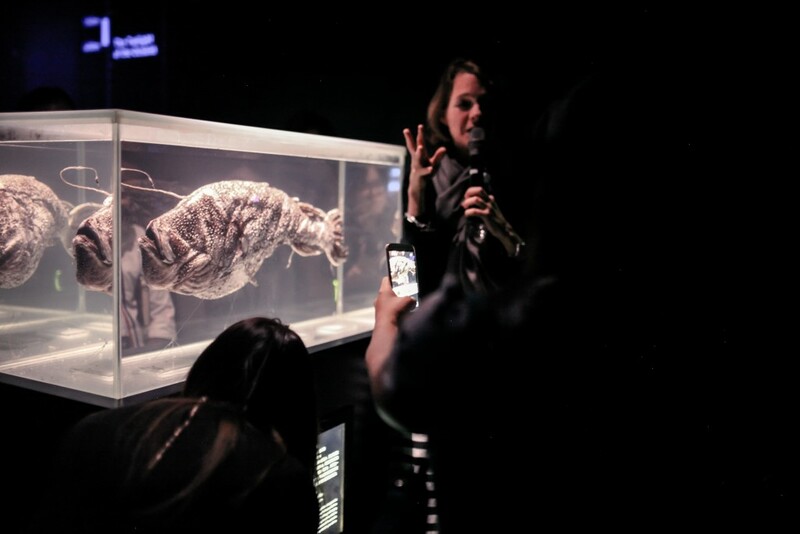 Thanks to a close collaboration with researchers from all around the world, she managed to gather pictures of specimens that had never been exhibited before. 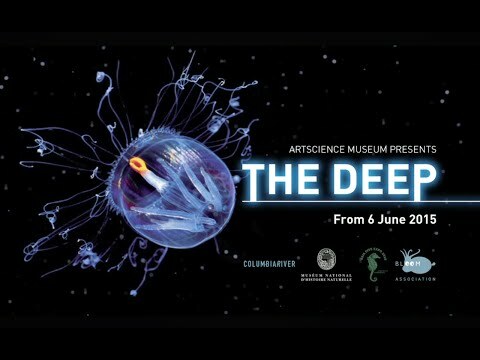 The deep sea… synonymous with darkness, overwhelming pressure, extreme depths, and, still for many, with absence of life… The exhibition The Deep yet proves that, at the bottom of the oceans, life is rich, diverse and surprising, beyond imagination. An introduction vestibule makes us rise from the surface to the deep sea. 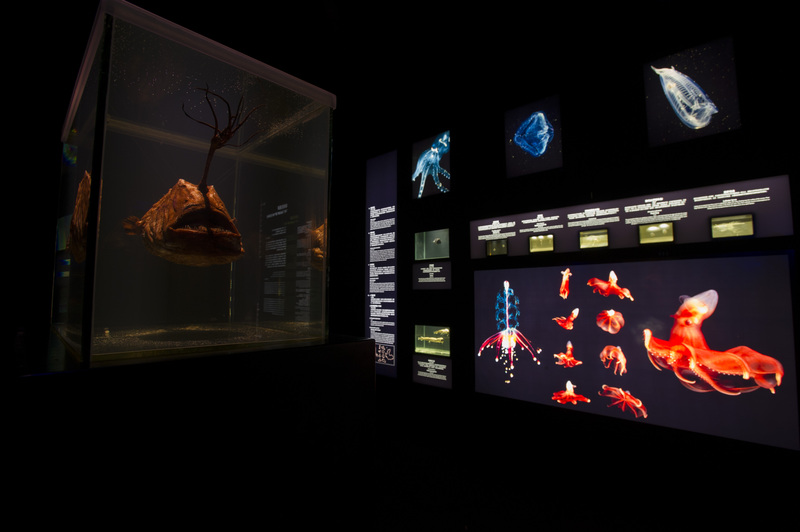 The visit then takes place in two phases, under a division corresponding to the depths’ reality: the midwater (the ‘pelagic’ space), and the bottom of the oceans (the ‘benthic’ space). 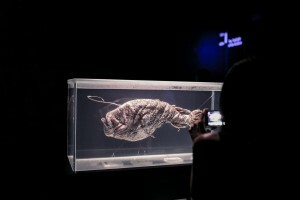 The specimens who are disposed on the columns and in the aquariums are presented as works of art. 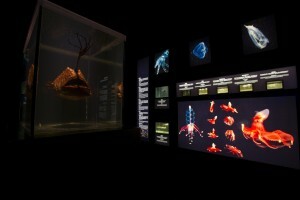 The photographs, set on light boxes, have a striking relief. 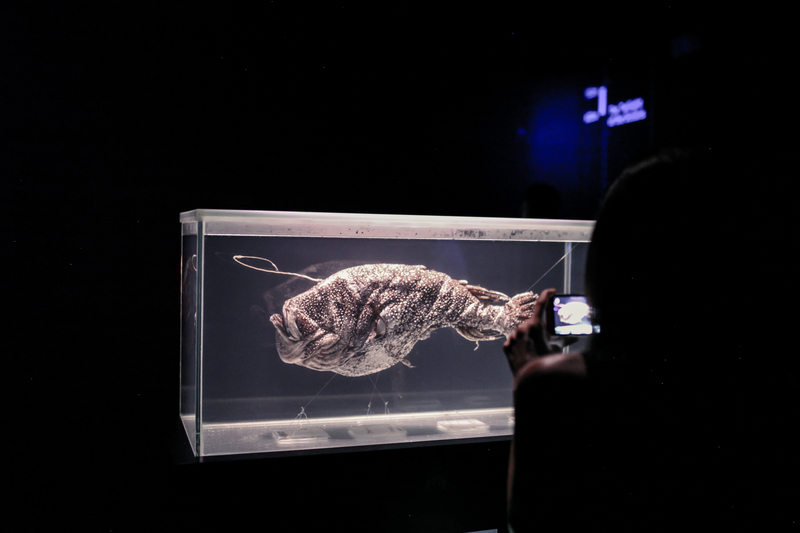 “The exhibition presents an iconography that was never gathered until today. We have capitalized on the massive research conducted for my book. 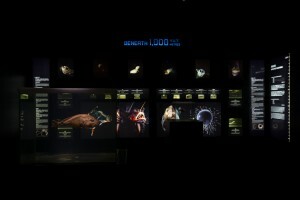 Thus, to make up our minds, we have disposed of 7000 deep-sea pictures, coming from very diverse sources. 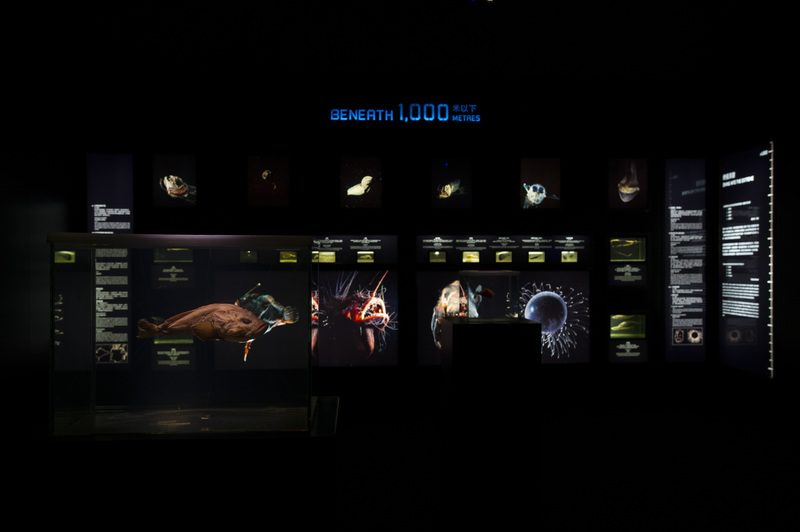 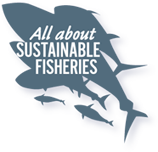 A large number of them have been taken during different types of oceanographic missions: on oceanic ridges, over the abyssal plain, around submarine canyons, around seamounts, in the midwater, etc… It is a very rare and wealthy iconographic fund. 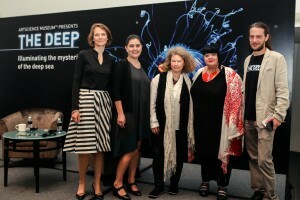 I would like to add that, what is true about the photographs is correct as well about the video images, because researchers also think that it is about time people know the deep sea, and that we share the sensational discoveries recently made in the oceanographic depths.